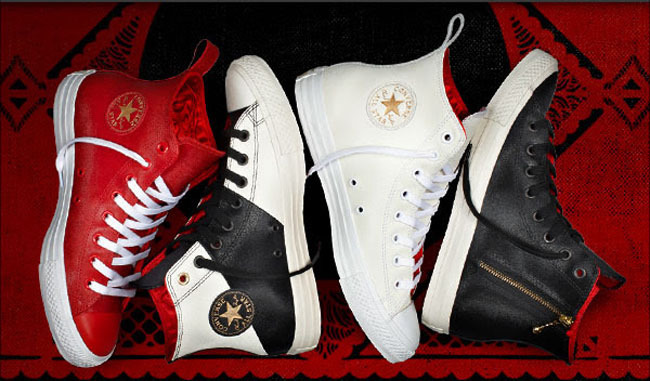 Converse joins the Year of the Horse celebration by releasing the iconic Chuck Taylor All Star in four festive colorways. 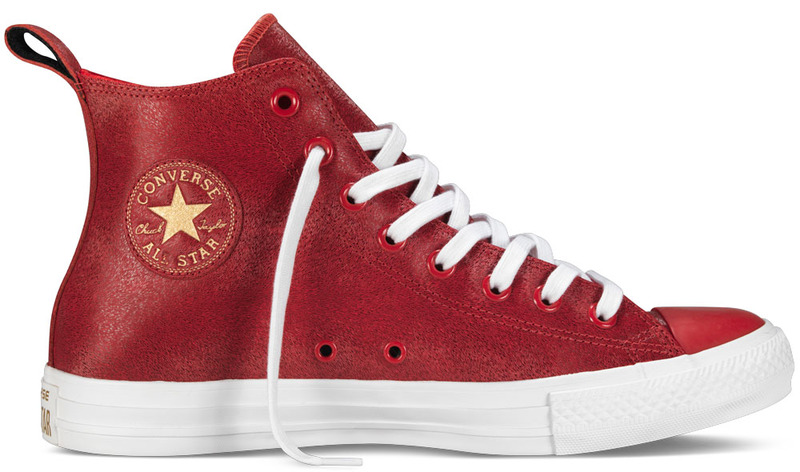 Different versions of the shoe feature premium leather construction, China-inspired red lining and metallic gold branding hits throughout. 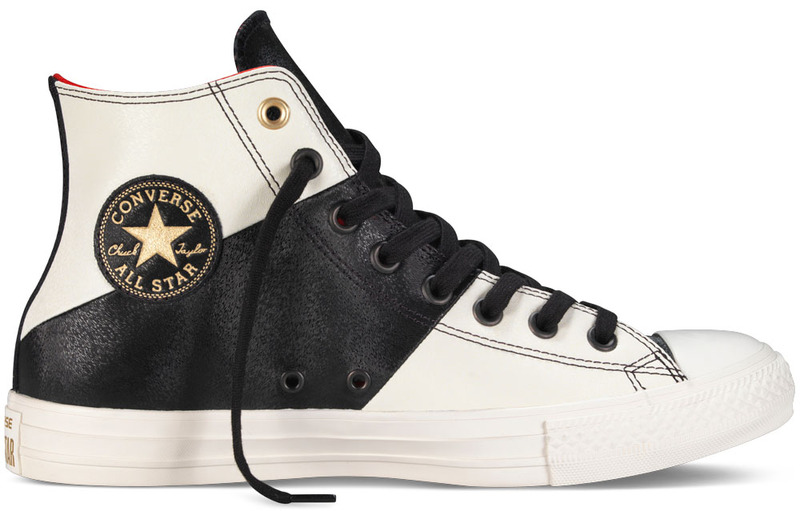 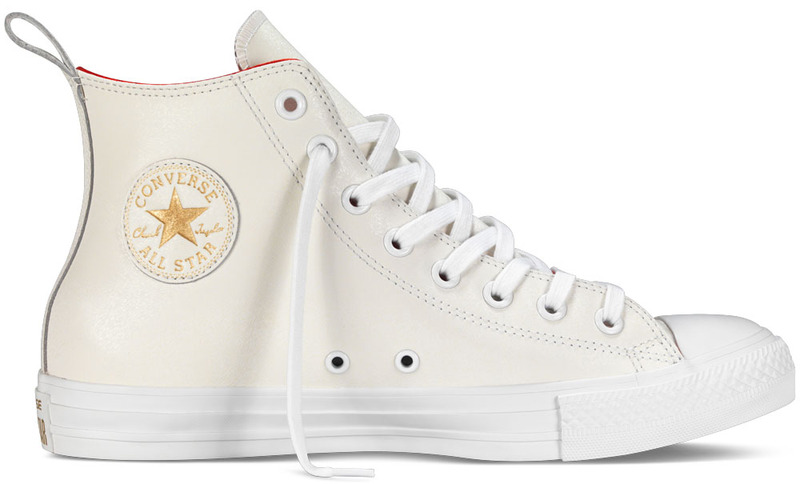 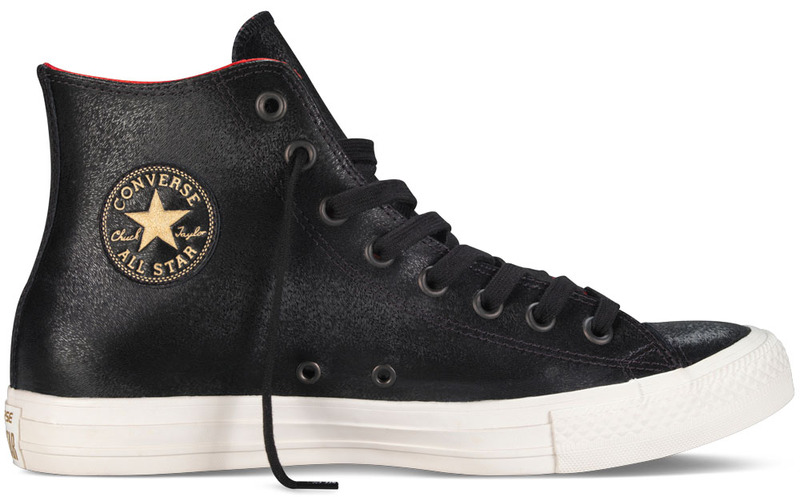 Available in White/Black, Black, Red and White for $85 each at converse.com.